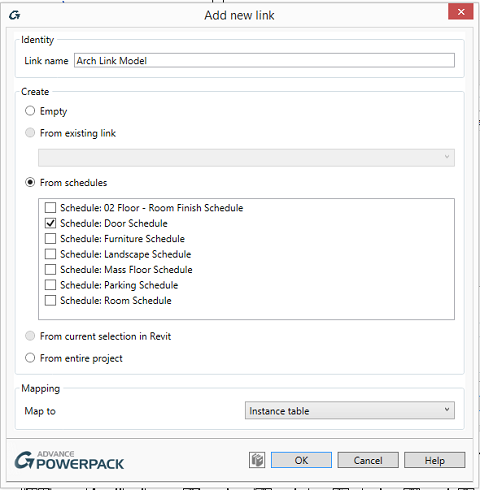 You can Import, Export and Synchronize data between Revit and Excel using Link to Excel tool from Graitec PowerPack package. 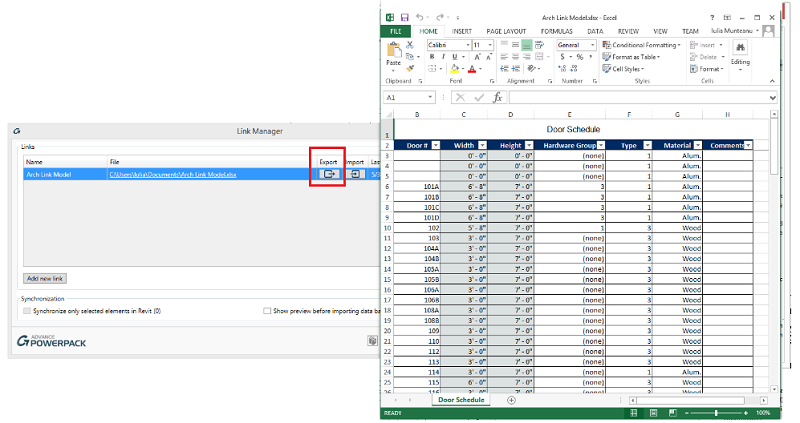 The source data can either be an existing Revit schedule or a new list of parameters available from the project and defined by the user within the Link to Excel tool, which will later be editable as an Excel table. In the Link Manager window a new link can be added to the project. Existent links are listed here as well. After you click OK the new link is ready to be exported. Click Export button. Now you can open the Excel file directly from the Link Manager window. If you want to import the changes from Excel back to Revit, you just need to save the Excel file and press Import button in the Link Manager window. 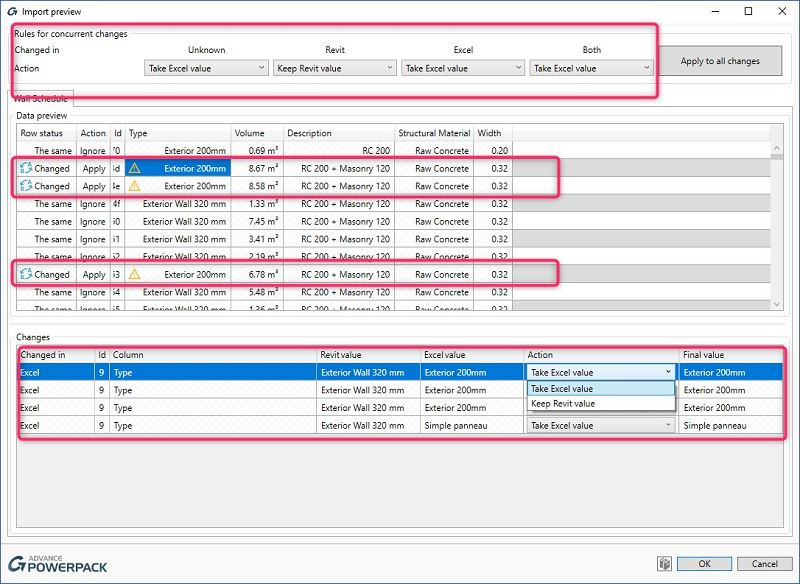 Here you have the option to Show preview before importing data back to Revit. 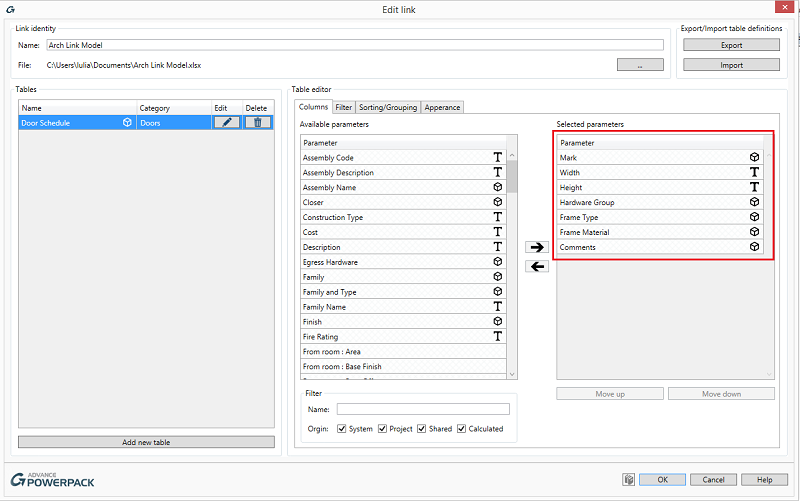 If checked a dialog box opens before the import with various options regarding changed data and actions to be taken, keep changes made in Excel or keep Revit data. Once the Import process is finished, the new parameters values are automatically updated in Revit.